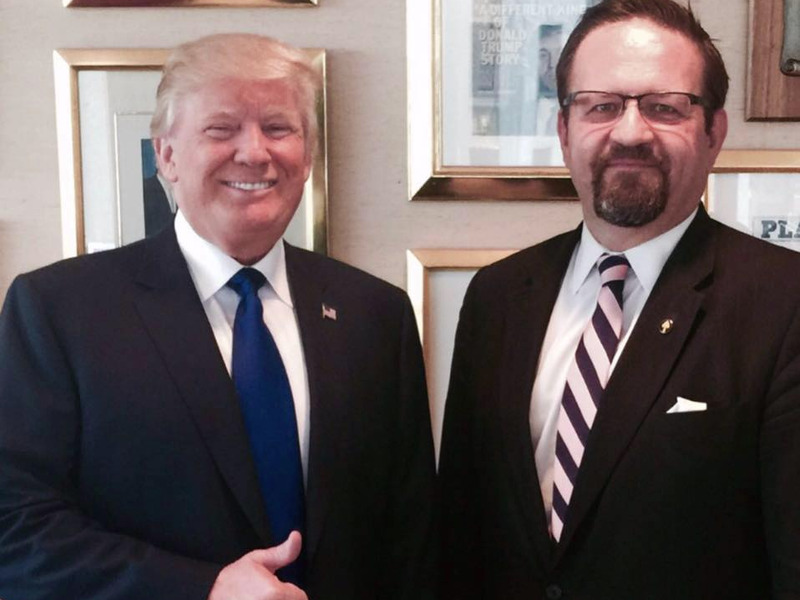 Facebook / Sebastian GorkaPresident Trump and Sebastian Gorka. 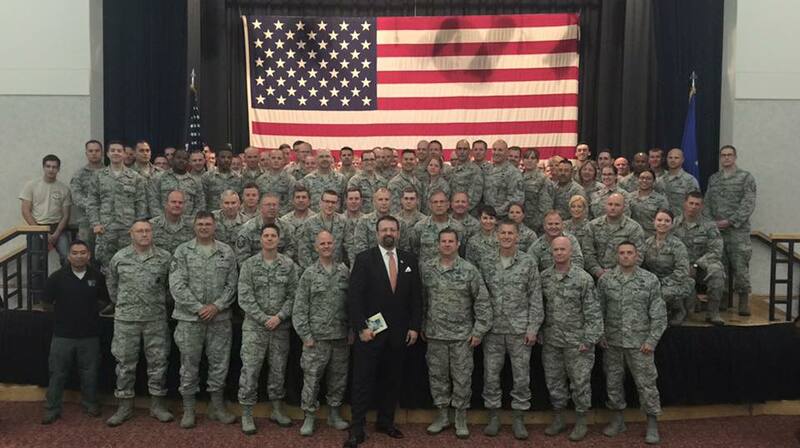 NEW YORK CITY — It was May 2016 and Sebastian Gorka, a former editor at Breitbart News who is now a senior official in President Donald Trump’s White House, had been invited to speak at a Defence Intelligence Agency conference. Gorka was joined on a panel by two well-respected counterterrorism and national-security experts — Georgia State University professor Mia Bloom and Foreign Policy Research Institute fellow Clint Watts. But he showed up unprepared, Bloom and Watts said, refusing to answer the questions that had been provided to the panelists weeks in advance. Bloom told Business Insider that before things got underway, the panel organiser started to discuss which panelists would answer which questions. Gorka, she said, refused to answer anything. Bloom and Watts also said he tried to use the panel as a platform to sell his book. The episode encapsulates the concerns that several people in the national-security community have about Gorka. In conversations with Business Insider, several national-security experts questioned Gorka’s credibility in their field, saying he is often dismissed as an outspoken conservative pundit who lacks the chops to serve in the highest levels of the White House advising on national-security policy. Gorka is a deputy assistant to the president for the Strategic Initiatives Group, a new White House organisation that US officials have said is like a parallel National Security Council (NSC). The organisation has the power to write executive orders, according to The Wall Street Journal. Gorka reports to Trump’s chief strategist, Stephen Bannon, who first noticed Gorka through his appearances on Fox News and later offered him a job at Breitbart, according to The Washington Post. Gorka told The Journal that he also reports to Trump adviser Jared Kushner and White House chief of staff Reince Priebus. Gorka also advised the Trump campaign during the election. When Business Insider asked him for comment by email, Gorka called Bloom’s and Watts’ characterization of events at the 2016 panel “fallacious” but did not dispute any specific points. He did, however, advise Business Insider not to report on his participation in the conference because it was a closed event. Terrorism and national-security experts have been going after Gorka on Twitter for weeks. “I call him the Simon Cowell of counterterrorism,” Watts told Business Insider. “His work is of little interest because he has never — not that I can think of — contributed anything to the body of knowledge which informs understandings of threats posed by the Salafi-jihadist groups of interest to him,” Smith told Business Insider. Smith said a top counterterrorism official at the National Security Council emailed Gorka on his first day at the White House to recommend that he talk to Smith. Smith said he responded politely to the introduction. Stephen Walt, a professor of international affairs at Harvard’s Kennedy School of Government, also said he has reservations about Gorka influencing policy in the White House. Other prominent terrorism analysts such as Will McCants of the Brookings Institution and Hassan Hassan of the Tahrir Institute for Middle East Policy, both of whom have authored widely read books on the terrorist group ISIS, have questioned Gorka’s position in the White House on Twitter recently. “Disdaining complexity may endear you to a certain kind of warfighter but makes for terrible analysis & policymaking,” McCants wrote on Twitter, linking to a recent Washington Post story on Gorka. Some in the national-security community have defended Gorka. Alberto Fernandez, a former US ambassador who led the State Department’s Center for Strategic Counterterrorism Communications under President Barack Obama, said he’s known Gorka for several years. “He is a good choice because he has a more solid grasp of the ideological challenge than his NSC political appointee counterparts in the previous administration,” Fernandez told Business Insider. Some of the criticism is “by people who would have been in a Hillary Clinton White House or who never questioned the Obama administration’s own grasp of Salafi-jihadism,” Fernandez said. But the criticism comes from both sides of the aisle, according to Bloom. Smith, for example, says he voted for Trump. 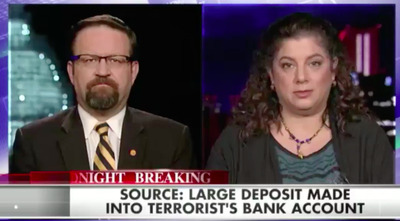 Screenshot / Fox NewsSebastian Gorka and Mia Bloom. Bloom, the Georgia State University terrorism expert who was on the DIA panel, has clashed with Gorka. Bloom says it started with a segment on Fox News in December 2015 during which she appeared with Gorka. She rolled her eyes while he was being introduced, not knowing that the cameras were already showing her on-screen. She said she got several emails from Gorka the next day demanding an apology. “If you are so thin-skinned that someone questions your bona fides and you fold like a house of cards, I mean, grow up,” Bloom said. Gorka confirmed that he “requested an apology for [Bloom’s] markedly unprofessional behaviour” on the Fox segment. He also accused her of using “ethnic slurs” in referring to him on social media. “Disappointing coming from someone teaching at a university,” Gorka said in an email to Business Insider. Bloom forwarded part of her correspondence with Gorka to Business Insider, but was unable to recover all the emails from that incident. The tweet linked to a 2016 story about conservative commentator and former CIA intelligence officer Buck Sexton clashing with Bloom during a segment on CNN. 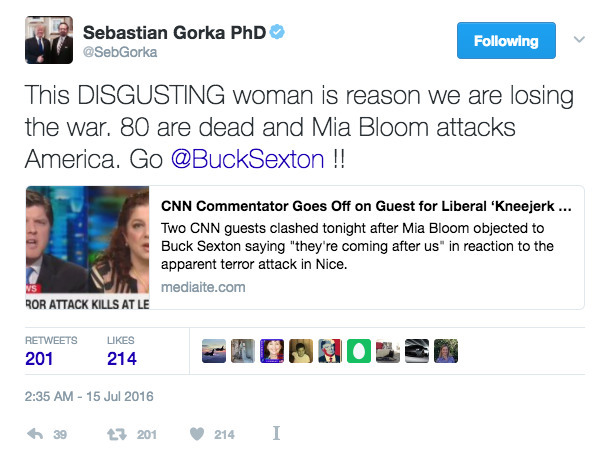 Bloom has also ripped Gorka on Twitter more recently. Gorka has also fought with Smith, the terrorism analyst who has advised members of Congress and White House officials. In recent weeks, Smith has been going after Gorka on Twitter, questioning his qualifications and using the hashtag #FakeTerrorismExpert to refer to him. On Tuesday evening, Smith said, Gorka called him to express concern about Smith’s “animus” toward him and threatened to bring his tweets to the attention of the White House legal counsel. In an email to Business Insider on Wednesday morning, Gorka disputed this characterization. Smith said Gorka was “berating him” and nearly yelling on the call. Gorka later said he wanted to know why Smith was attacking him. “Put yourself in my shoes,” Gorka said on the call, according to Smith, adding that the two had never met and that he had not attacked Smith. Later, Gorka said that it was strange for Smith to question his qualifications when the TV appearance Smith has pinned to his Twitter feed is two years old, according to Smith. Gorka also referenced a tweet Smith has since deleted, in which he posted a screenshot of the NSC official recommending that Gorka talk to Smith. Gorka asked on the call why Smith would publicly note his concerns about Gorka when an NSC official was recommending that Gorka talk to him. The day after Smith posted the tweet, an NSC official contacted him and asked him to delete it, Smith said. Smith said he has tentatively accepted Gorka’s invitation to meet him in his office in the White House next month. Gorka seems to have a combative attitude toward the media in general. 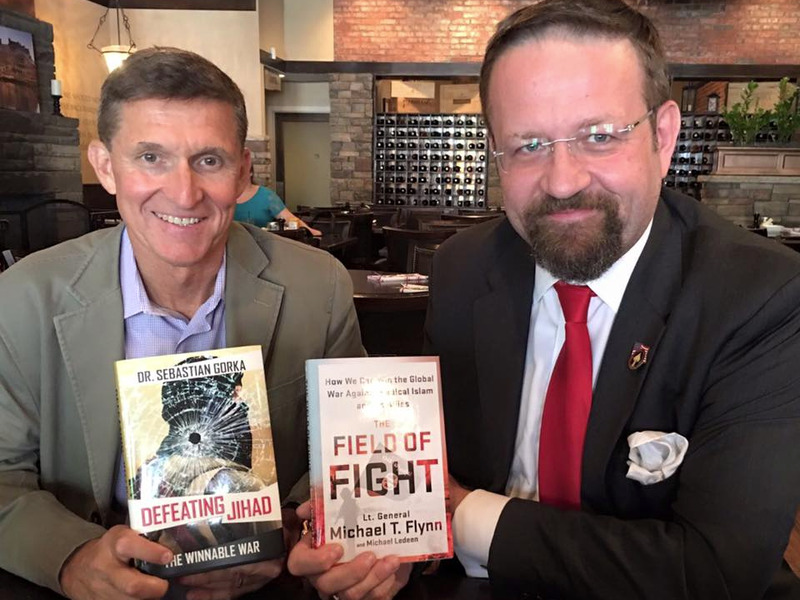 Facebook / Sebastian GorkaFormer National Security Adviser Michael Flynn and Sebastian Gorka. Experts have expressed hesitancy about Gorka’s ideology. Gorka told The Washington Post recently that he “jettison[s]” the view of past administrations that the terrorism problem is “nuanced and complicated.” He said terrorism is rooted in Islam and portions of the Quran. “Anybody who downplays the role of religious ideology … they are deleting reality to fit their own world,” he told The Post. The Council on American-Islamic Relations referred to Gorka’s “Islamophobic views” in a statement about his wife Katharine, who worked with Trump’s transition team for the Department of Homeland Security. For instance, Gorka and others in Trump’s circle — including the president himself — make a point to use the term “radical Islamic terrorism.” Ousted National Security Adviser Michael Flynn had similar views. Some experts, however, have defended Gorka’s views on terrorism. Gorka, like Flynn, also seems to have bought into the idea of an ideological war between radical Islam and the West — the same idea that ISIS itself promotes. “Al Qaeda, ISIS, all of these groups are totalitarians — either you surrender to them or they will kill you,” Gorka told The Washington Post. The photograph showed “a dead, bloodied brown-skinned man, lying on the ground next to an AK-47 assault rifle,” according to The Post. The audience cheered. Facebook / Sebastian GorkaSebastian Gorka with military personnel. Gorka was born in England to Hungarian refugees, according to The Journal. He holds a doctorate in political science from a university in Budapest and has taught at the Joint Special Operations University, the National Defence University, and the Marine Corps University. 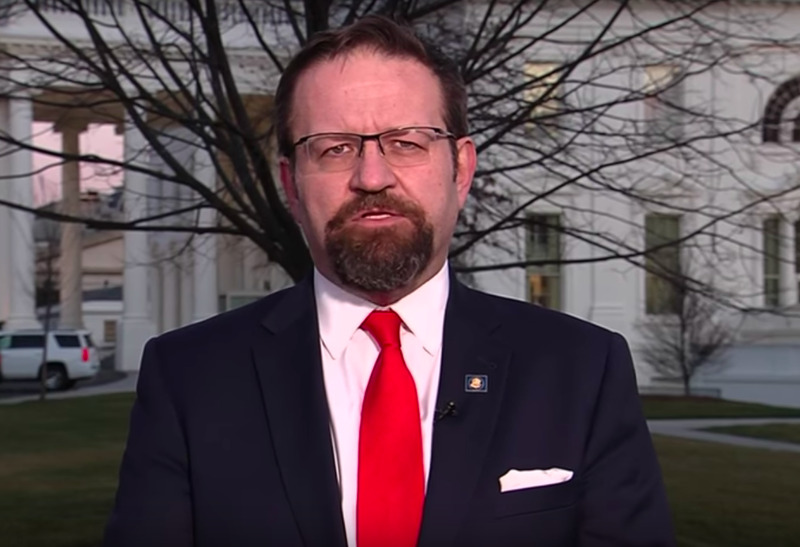 Gorka was also a reserve intelligence soldier in the British Army Reserve for a few years and taught at the George C. Marshall Center in Germany, which educated NATO and allied military officers, and the Pentagon-funded College of International Security Affairs, according to The Washington Post. Gorka has also led lectures and seminars for FBI agents. The Post described his academic credentials as “thin,” especially in the subject area of Islam. Unlike many scholars in his field, Gorka does not speak Arabic. He’s also never lived in a majority-Muslim country, according to The Post. He said he’s read the Quran, but only English translations of the texts, which could make nuances harder to detect. “You don’t have to speak Arabic to do good work in this field, but the people who don’t speak Arabic realise that there are limitations to what you can do,” Bloom said. Bloom also pointed to Gorka’s apparent lack of academic credentials. Several other sources within the community of terrorism and national-security experts and analysts also said Gorka’s work is not widely cited among such professionals. Smith portrayed Gorka’s work as not being taken seriously. “Terrorism researchers and analysts are largely unfamiliar with his work because he is neither a terrorism researcher engaged in novel research work, data collector, nor a formally trained intelligence analyst,” Smith said. Gorka doesn’t seem bothered by his unconventional background. He suggested to The Post that he writes more for people fighting terrorism in the field than for academics in the US. And of course the administration he’s working for includes many people who aren’t part of the Washington establishment. Trump’s calls to “drain the swamp” were popular with his supporters during the election.